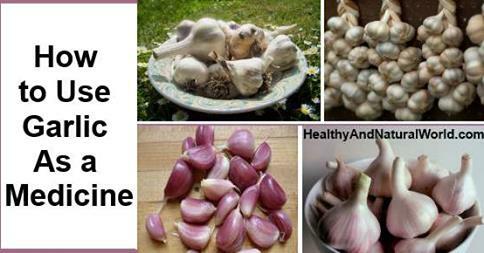 Garlic (Allium sativum) has been used for both culinary and medicinal purposes in many cultures for thousands of years and to prevent and treat a wide range of conditions and diseases. There have been lots of claims about using garlic as a remedy for many conditions including high blood pressure, high cholesterol, coronary heart disease, heart attack, atherosclerosis and various types of cancer. Most of the health benefits of garlic come from the sulphur containing compounds it contains – the most notable is allicin. Some of these uses are supported by science, but even science itself has sometimes conflicting results or mixed evidence. Some studies are better than others, or larger and more comprehensive than others, and some studies have been conducted on animals but not on humans. Click the link below to see the medicine qualities..